‘Sisters For Sale’ is a rather unusual documentary, following an extraordinary story through some very strange events. After filming the documentary, it took me a long time to begin processing the experience, and to start making sense of those events – particularly because I was so close to the story. In a similar way, because I’ve been extremely close to ‘Sisters For Sale’ at all stages of production, I’ve found it very difficult to step back and view the film objectively. ‘Sisters For Sale’ is my baby – of course I think she’s special. If those around me think otherwise, would they tell me honestly? Would I even listen? I’ve spent five years of my life on this film, and can’t help but ask myself, Was it worth it? Is ‘Sisters For Sale’ any good? On one hand, the film hasn’t yet been accepted into any of the festivals I’ve submitted it to. On the other hand, I’ve sat with people watching it. I’ve seen them ride the highs and lows of the story. I’ve seen them moved to tears. Over the past months we’ve had not one but two amazing teams busy translating ‘Sisters For Sale’ (and its trailer) into both Spanish and German. 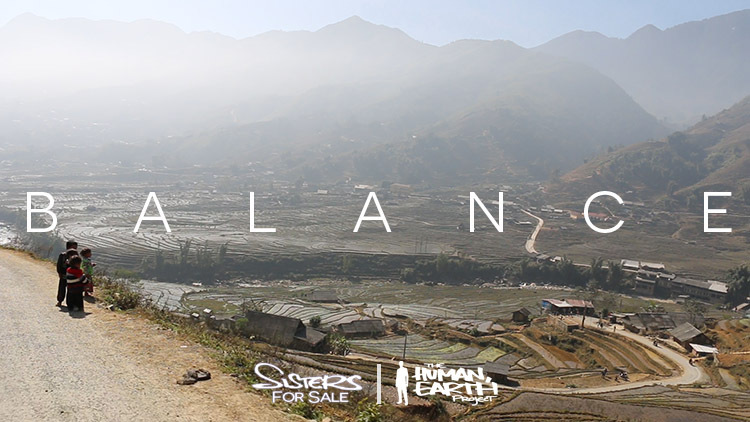 Not only will their work make it possible for ‘Sisters For Sale’ to reach millions more people around the globe, they have also helped give me a better feeling for the documentary itself. One of our translators told me it is one of the best and most interesting documentaries she has seen in years. Another said she cried just from reading a short section of the script. Last summer I had the chance to show a rough cut of the film to another of our translators, a Hmong friend from Sapa. It was something I was a little nervous about, as there are certain elements of Hmong culture I’ve examined in the film, and not always in a positive light. To see my friend so supportive and enthusiastic about the film really meant a lot to me. I’d like to give a huge thank-you to both of our recent translation teams, which include some good friends and some newcomers to the Project. Our Spanish translators were Natalia Correa Glargaard, Javier Gómez, Sela Jiménez, Estrella López, Paola Mountbatten, Paula Olmo, Maria Julia Ravera, Andrea Vela Gonzalez, and Eli Zubiria, with a special thank-you to Carol Machete Rodríguez and Ivan Villegas. Their work is now being double-checked by the amazing Laura Rodríguez Jarillo, with her Masters in English-Spanish translation. Our German translators were Fabian Altenhoefer, Justine Czora, Alena Figge, Sarah Huwald, Johanna Leiner, Lisanne Pervical, Christina Raue, Sophia Rötschke, and Katrin Schmidt. As a journalist and a wonderfully supportive member of our team, Astrid Hofer will be using her linguistic skills to check the translation. I also want to give a huge shout-out to Qiuda Guo, Jiumei Hong, Charlie McRae, Jackie Ong, and Yuqing Zhang, whose recent behind-the-scenes assistance has been absolutely invaluable to completion of the film – thank you so much! Some of you have offered to help translate ‘Sisters For Sale’ into your own languages, which is amazing. I’m working to put a system in place to make that an easier process for all of us. If you’d like to help bring ‘Sisters For Sale’ to your own country, let me know, and I’ll keep you in the loop! I believe a good work-life balance is crucial to a happy, fulfilling life. Working on ‘The Human, Earth Project’ for the past five years, it has been a real struggle to maintain that balance, and last year I lost it completely. Two years ago, I began monitoring my hours (as well the funds) spent on the Project, and have recently been looking at last year’s figures. In 2017, I worked a huge 155% of 2016’s already-substantial work hours. It was a year that took a serious toll on me, both emotionally and physically. I’ve never been in worse shape, and am tired in a way sleep won’t fix. I’ve had a slow start to 2018, as I work to get my balance back. For those of you who are interested, I’ve broken down my 2017 work hours below. Not only did I spend far more time on the Project in 2017, but that time was spent much more productively than the year before. Following the success of our 2016 crowdfunding campaign, I was able to spend literally hundreds of hours fewer on fundraising, promotion and networking. I also dramatically cut back my hours on the blog and website, pouring the bulk of my work hours into our feature documentary, ‘Sisters For Sale’. While video editing consumed *by far* the most time, a phenomenal amount of time was also taken up by other tasks – animations (156.25hr), audio editing (63.25hr), colour grading (41.75hr), organising final translations to English (13.5hr), organising translations to French, German and Spanish (60.25hr), building an impact and distribution strategy (55.5hr), legal matters (52.5hr), and recording and inserting the narration (32.5hr). Some of the numbers were very surprising – I spent 78hr reviewing the film, 74hr working on the script, and an incredible 19.5hr organising lists of names for the credits! Remember these are only my hours (not those of the dozens of other people who have worked with me on the film), and they are from only one of the five years ‘Sisters For Sale’ has been in production, and you’ll begin to understand what a colossal undertaking this documentary has been. While not nearly as expensive as it could have been, ‘Sisters For Sale’ has of course been a very expensive production – and I haven’t finished paying for it yet. On a project this size, otherwise insignificant tasks become major jobs in themselves – in 2017 alone, I spent 34.75hr organising and backing up files between a myriad of computers, external hard drives and online storage facilities, 18hr organising the necessary hardware, software and workstation, 22.75hr resolving technical issues, and 38hr on accounting and administration. As ever, messaging and communication consumed a great deal of time throughout the year, and significant amounts of time were also demanded by design work, planning, necessary travel, and the ‘Sisters For Sale’ podcast. My work patterns will be changing again in 2018, as my focus shifts away from post-production of the documentary, and towards its distribution, promotion and impact. I’ll also be spending more time on some exciting new elements of the Project – including the 10-part ‘Sisters For Sale’ podcast I’m working on with Claire Harris, and a few other surprises it is too soon to announce!